Buckle up and cruise our scenic byways for exceptional beauty, wildlife and history. 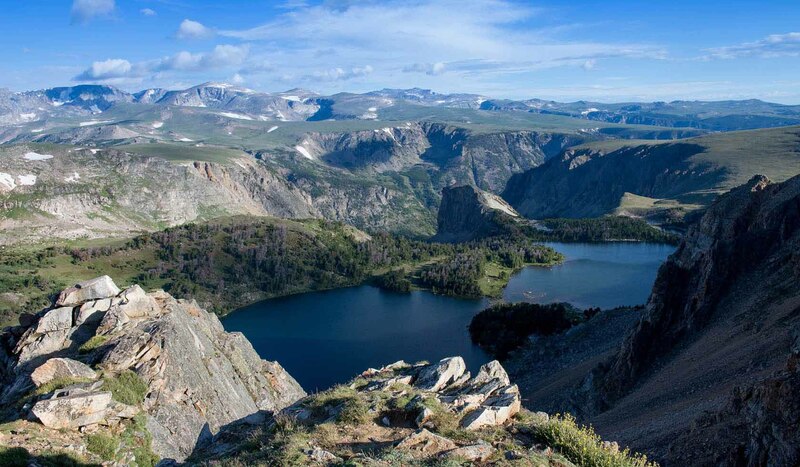 Visitors who travel this extraordinary byway, experience the visual trifecta of Montana, Wyoming and Yellowstone Park, home to the Absaroka and Beartooth Mountains. The windy, cliff-hugging 68-mile stretch introduces road explorers to one of the most diverse ecosystems accessible by auto. It’s also the highest elevation highway in the Northern Rockies. Stunningly beautiful, the All-American Road showcases wide, high alpine plateaus, painted with patches of ice blue glacial lakes, forested valleys, waterfalls and wildlife. Plan for many stops so the driver can take in the long views! The road that connects Anchorage to Seward is a 127-mile treasure trove of natural beauty, wildlife and stories of adventure, endurance and rugged ingenuity. Take a day or several to explore the region that has earned three-fold recognition as a Forest Service Scenic Byway, an Alaskan Scenic Byway and an All-American Road. The drive begins at the base of the Chugach Mountains, hugs the scenic shores of Turnagain Arm and winds through mining towns, national forests, and fishing villages as you imagine how explorers, fur traders and gold prospectors might have fared back in the day. Expect waterfalls, glaciers, eagles, moose and some good bear stories. Trail Ridge Road. Estes Park, CO.
During a 48-mile, two to three hour drive through majestic Rocky National Mountain Park, marvel at the Park’s wildlife, crystalline lakes, and jagged peaks. The nearby Continental Divide, provides the opportunity to explain to the kids how the “roof of the continent” spills moisture to the east and the west from its apex. Consider a stop at The Stanley Hotel in Estes Park, which inspired Stephen King’s novel “The Shining.” Also, visit the charming town of Grand Lake, home of the largest natural lake in the state of Colorado. Travel the 375 miles between Kittery and Calais, ME, visiting lighthouses along the way, and learn about the dangers that seafaring vessels and their crew endured along the craggy Northeastern coast. Hear tales of shipwrecks and ghosts and of the difficult and lonely life led by those who kept the lights burning brightly. Visit the Maine Lighthouse Museum, where artifacts and hands-on exhibits for children provide an enticing break. You’ve seen the skyline in the movies and on television commercials. Your entire family will marvel at the 250 million year old red rock formations, the magical light, the starry night and the Native American history that infuses the iconic landscape. Take in the 17-mile scenic loop road on your own or hire a guide to delve deeper into the storied region and to access off-limit sites. Overnight at The View hotel for the best chance to capture the incomparable sunrise and sunset hues. Don’t forget your cameras! Meandering along the crest of the mountains through the woods and past spectacular vistas, Virginia’s Skyline Drive begins in Front Royal and twists and turns southwest through Shenandoah National Park. Hike in the shade of oak trees along the Appalachian Trail, discover the stories from Shenandoah’s past, or explore the wilderness at your leisure. Lions, Stingrays and Bears - What Now?